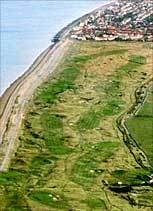 Royal Cinque Ports, a natural links course along Sandwich Bay, provides a variety of challenges. The tees may seem to be the only flat stances on the course! 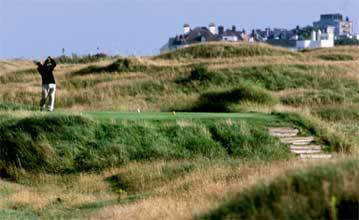 Rolling fairways, lined with thick rough, wander through sand dunes to greens which are among the biggest and fastest in the country. 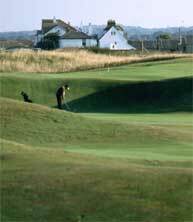 Bunkers are plentiful, but can be easily seen from the tees and fairways. 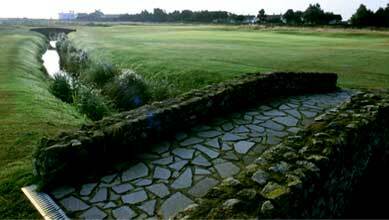 Most are deep and revetted. Sea winds can also be a major factor here.